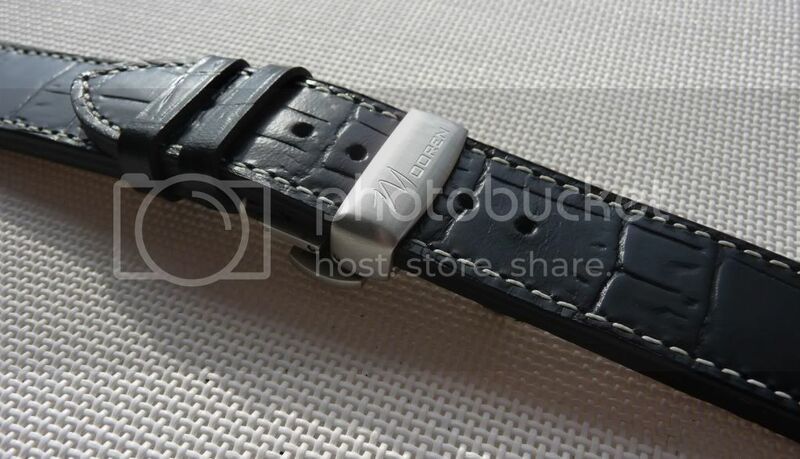 In my last topic I showed you the prototype strap for the Mooren watch. A few days ago I received the final straps and I also received the deployant clasps, so I would like to share those with you. 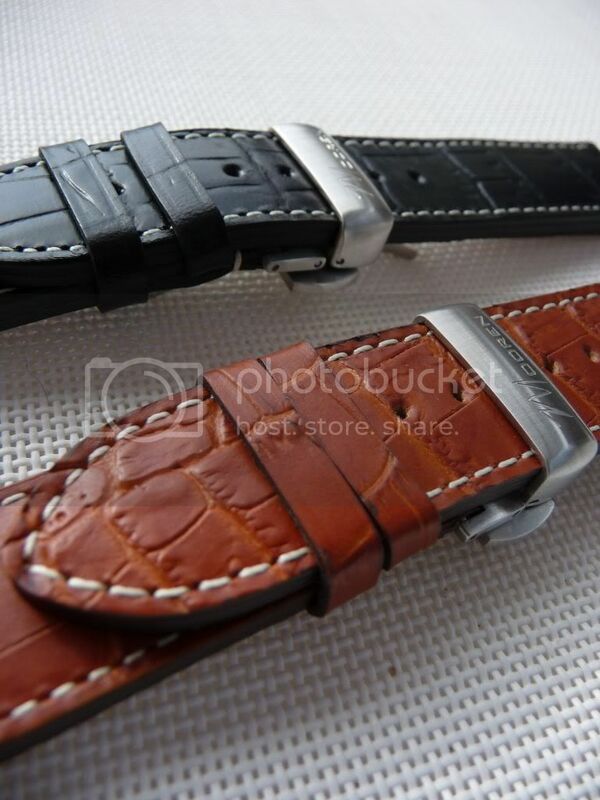 I really like both the straps and the claps and I think they fit the watch very nicely and are also very comfortable. I don't think I can say much more about this, so I think that the pictures below will say enough. Looking good & thanks again for the update. One observation though, my other deployment clasps have their company logos upside down when compared to yours. 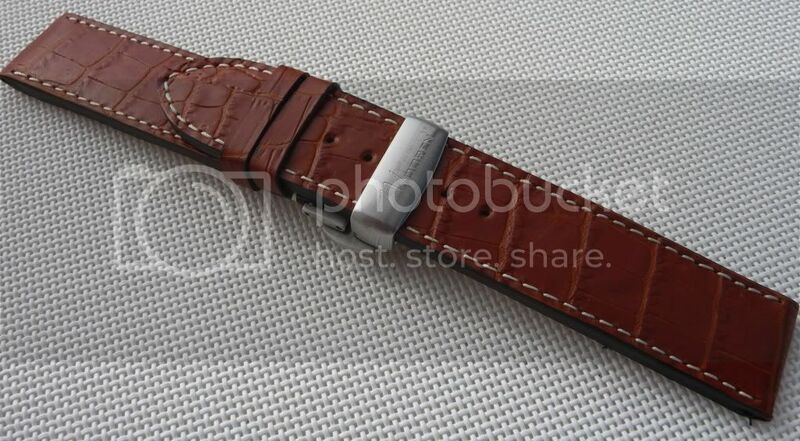 The strap will come in only one length. 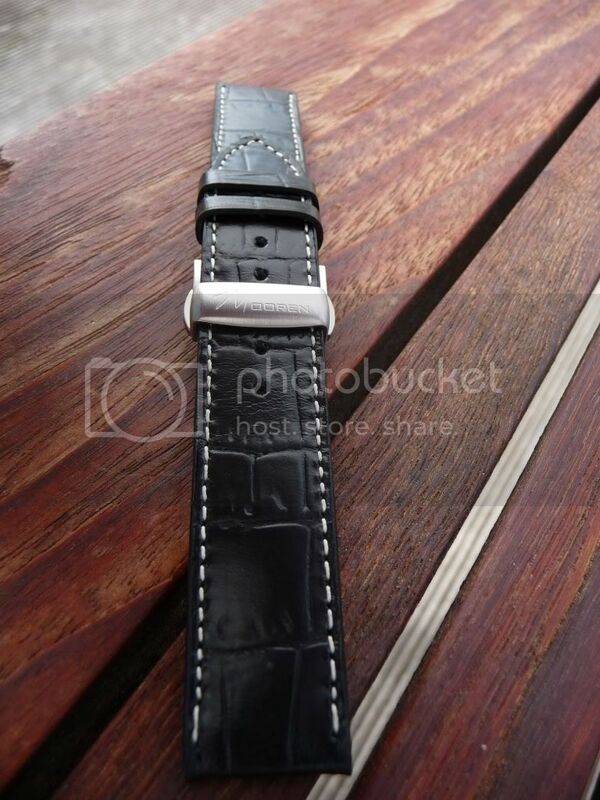 On request though, it is possible to order any strap you want; different colour, sort of leather, length, stitching etc. it is all possible, but that will be at an extra expense depending on the customers requirements. 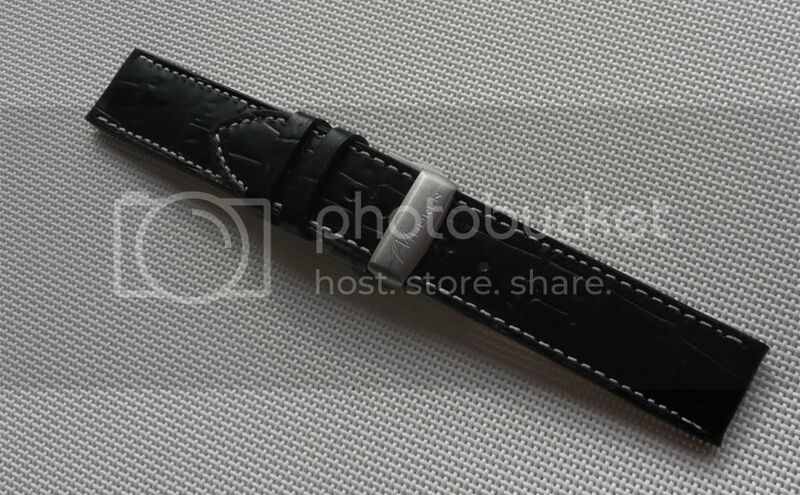 The delivery time for unique straps will be about 3 to 4 weeks. 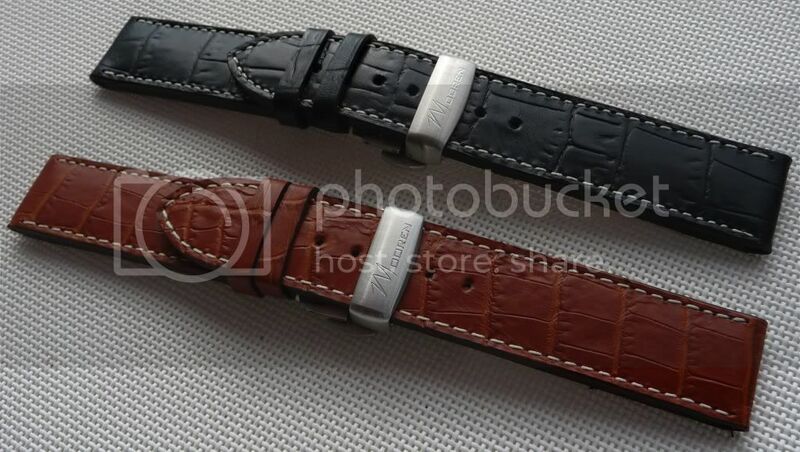 Customers can then choose wether they wan't to buy the watch with the special AND the standard strap, so that they can get the watch immediately after ordering and the special strap will come later OR people can choose to get a discount on the special strap, but then they won't receive the standard strap and will have to wait 3 to 4 weeks until they will receive the watch. I think that for people who want a different strap than the "standard" strap this is a very good solution. Though some people may not like deployant claps I did choose for it because I see a lot of benefits when using a deployant clasp, such as: If your watch accidentally slips out of your hands when putting it on, the watch will still hang around your wrist and will not fall on the ground; increased lifetime for the strap; no need to constantly find the right hole (therefore faster) and personally I think it looks better. May a customer ask for a standard buckle though, then I can of course arrange that. If you read my reply to RonB his message you will understand that the logo isn't upside down. 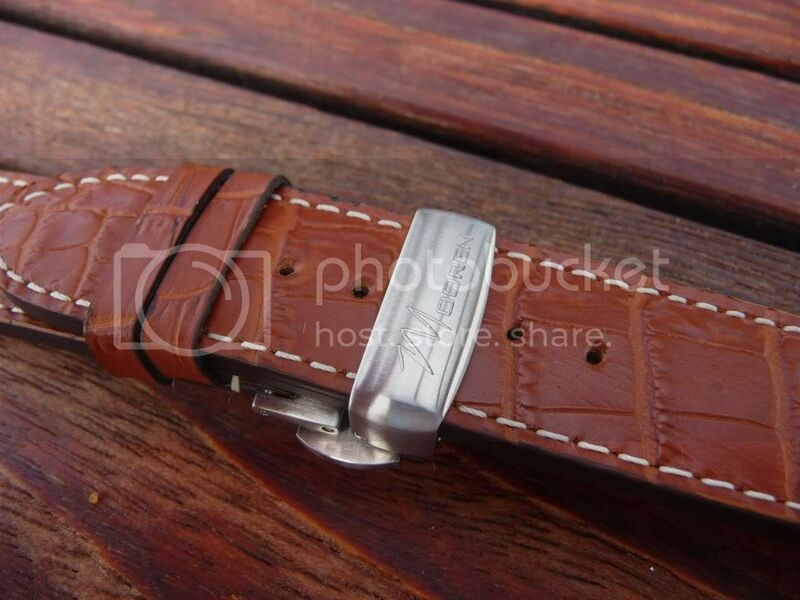 I choose to install the strap with the longest part on the back of the watch instead of the shortest part. I decided on that, because my experience is that this is more comfortable for both thick and thin wrists. Most brands do it the other way round, but there are some brand that do it the same way as me and I prefer that. I now understand it's a well considered decision to do the opposite of what is usually done. I have never thought about it, but also not experienced problems with the traditional mounting. Must try it the other way round someday and who knows, why not with one of your watches . Last edited by Lencoth; August 28th, 2011 at 00:19. Thank you for your reply. 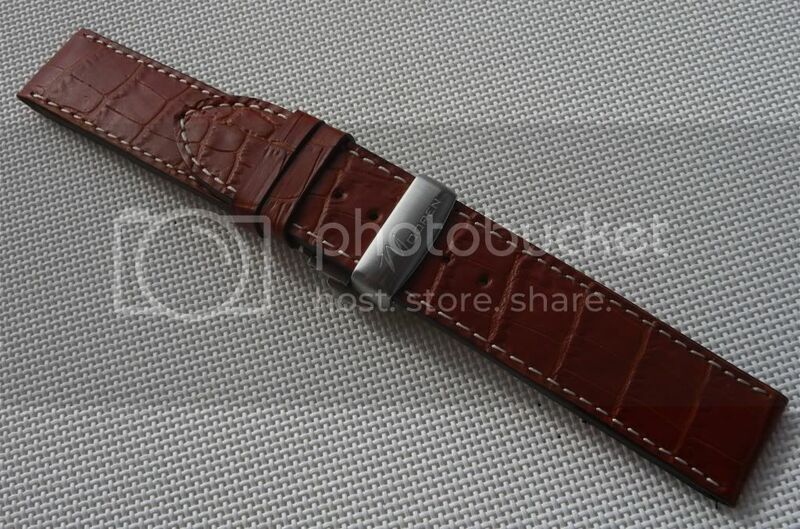 I won't be making a blue crocodile strap as a standard option, but if a customer asks for a strap like that, I can have one made at an extra expense. The design will be revealed very soon. Thank you for your offer of helping me finding a dealer, but at this moment I am primarily focussing on sales through the internet. May I be needing your help in the future, I will let you know. Thanks Mick for your response. What are the price points of your watches? If you don't mind me asking.